Last week I did some massive cleaning in my bedroom. I went through all of my drawers and my closet. While cleaning and organizing things I took notice of some things that I had forgotten about. Looking at my jewelry, I noticed I had a lot of necklaces but I didn't really have any other pieces. 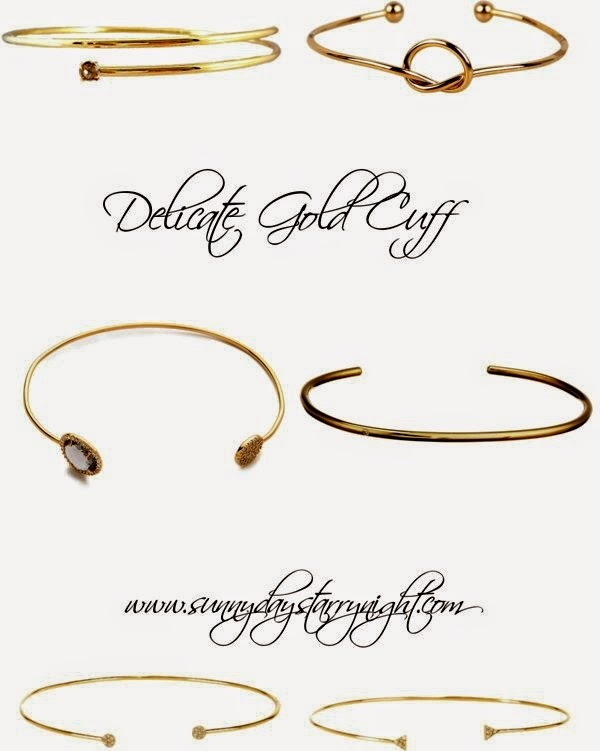 While necklaces are my favorite accessory to wear, lately I have really been loving all of the thin gold cuffs. They are so delicate and feminine. Usually when I think of a gold cuff I think of a wider bracelet that covers at least a few inches of your arm. This more dainty and delicate version would be perfect for more formal occasions and for work. I am especially loving this cuff. What are your thoughts on these bracelets? these bracelets are so pretty! i'm usually a necklace person too but have been loving bracelets more lately as well! I have a hard time wearing bracelets. Due to I have small wrist. I love the one with the pretzel!